• LED Lights is not included. • Frame with all necessary fittings. • The kit comes already assembled which makes for quick and easy fitting. 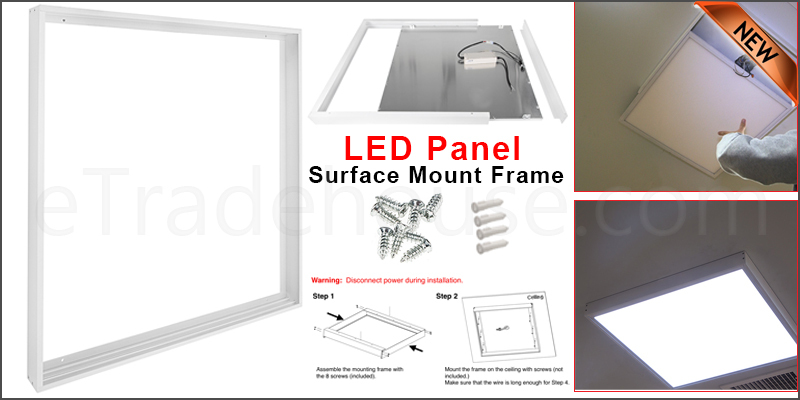 • Surface mount kits are a perfect solution for offices, schools, and hospitals etc. where recessed mounting is not possible.